The Kreg SK03 Pocket-Hole Screw Kit offers a square drive to reduce slipping when you are driving the screw. The screws do not spin, slip or strip when driven with #2 square drive bit. Offered with a flat-bottom head , the screw sits perfectly on a pocket hole for better holding power. While most standard screws feature a conical underside, the Kreg SK03 Pocket-Hole Screw Kit presses evenly on the pocket hole. The threads on the screws do not go all the way up, but stop partway up. This ensures that there is a smooth area below the screw head. When you screw in, the threaded piece holds the attaching piece while the other piece slides smoothly. To enhance the drilling process, the unit is offered with self-tapping tip drilling, ensuring that you drill holes without splitting. This also makes the drilling process fast. The package comes with 675 of the most used screw sizes in an easy-to-carry case. The screws are recommended if you have different DIY projects. The Hillman Group 591519, true to their name, are small wood screws designed for home or workplace use. It comes as a pack of 195 pieces in a reusable plastic container. The container comes in handy during your DIY project ; you can place screws in the different compartments and pick them with ease. There are 6 sizes of screws on the package , allowing you to take on different tasks. Each metal screw comes with a cross drive, letting you use flat screw bits. It can be used in many wood working projects. Each thread is created sharp, for driving screws fast. The screws feature a conical shape below the head for a flush-fit on the pocket hole. For the large screws, the threads start partway up, ensuring a smooth and fast screwing. Smaller screws have threads up to below the head, making them effective. 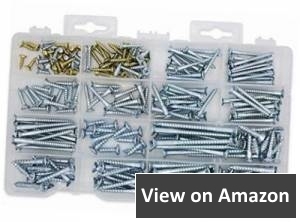 These are recommended when you need small screws to attach plywood. 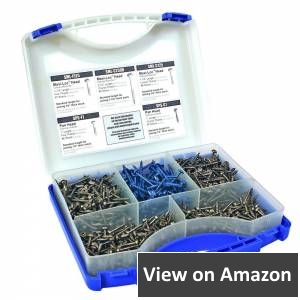 The Qualihome Quality Wood Screw Assortment Kit comes as a complete kit, helping you get any woodworking job done. In the kit are 18 screw sizes, suiting different needs. The screws are offered in a reusable tray. This tray has 16 compartments to hold screws of different sizes. You can use it on hard or soft wood. Each screw sports a cross drive. You can, therefore, drive it with a flat screw driver bit. The screws feature sharp tip and sharp threads, making it easy for you to drive them on wood. The larger screws are silver and the smaller screws tan colored. For the large screws, threads are only halfway along the screw’s length. Driving the screws is smooth. Given the different screw sizes, the screws are recommended for professional use. Each package has 240 pieces and comes at a great price. The Guard Dog Exterior Wood Screw is a 3-inch screw designed for exterior wood fastening. It is an easy to use and durable screw that sports a tan color. The steel screws are ACQ approved. Besides, each unit is created sturdy and easy to use. With a versatile pozisquare drive, slipping is significantly reduced, letting you screw smoothly. Their holding power is enhanced by the aggressive thread design. Each thread starts a few millimeters past the middle of the screw. This leaves a thread-less section below the screw head, which enhances the smoothness of each screwing. Each screw sports a sharp piercing point for smooth installation. This is especially important when you are fastening hardwood. Each package has 75 screws. They are recommended for DIYers and professional wood workers who are always in need of exterior wood fasteners . The WoodPro Fasteners AP9X212-1 is a pack of 110 pieces of 1-1/2-inch wood screws designed for all wood projects. Their sizes allow them to be used for exterior and interior applications from shelves to decks to flooring. The STAR drive recess reduces bit stripping and slipping while the type-17 point ensures that you start drilling effortlessly. The nibs fitted under the screw’s head ensures that there is a clean countersink irrespective of the material to be screwed. Each screw comes coated with a golden electro-polyseal coat. The coating is thin, but durable. It keeps the screws protected from salt sprays for up to 1000 hours. This coating remains durable in different weather conditions and will not rub off or chip during drilling. The coat will last long even when the screw is used in treated lumber. Each package comes with one star bit. If you need 2-1/2-inch screws, the WoodPro Fasteners are recommended thanks to their durability. The RH-5112B0 is a package of 50 screws each 1/2-inch. It is designed to offer a fastening solution for thin pieces of wood. Each screw sports a truss head with a star-drive. The head sports a flat bottom, allowing the screws to fit on the pocket hole perfectly. This comes in handy when you are using the screws for interior and exterior applications. The screws feature a black oxide and wax finish. This protects them from salt sprays and weather elements throughout their life. The screws further feature sharp threads and tip, ensuring that that they screw with ease. 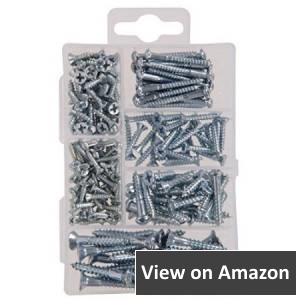 The screws are designed sturdy and strong to last through years. They are recommended for thin wood fastening. Back in the 90s, you could only buy one of two screws, Phillips or slotted. You only needed to pick one, choose the length, and that was all. Since then, the fastener market has grown exponentially. For a DIYer, you are offered a wide range of solutions to get your project done. Back in the day, the screwdriver was the only means of driving screws and the Philips was the most popular screw. But today, there are other tools including cordless drivers and lithium-ion drivers, which reduce slippage and stripping. Which Screws are Right for your project? With the wide range of screws, it is challenging for Do-It-Yourselfers to choose the right screw. The screws are offered in different lengths, materials, head types and coatings. Choosing a good quality screw makes the difference between a good project and a poorly fixed woodworking project. With the sea of screws in the market, it is easy to get confused. As a beginner, you will wonder which screw length and width to choose, which coating and which material. Screws are undoubtedly versatile, but choosing the right one is not easy. Where do you need screws? If you need to quickly build jigs, join cabinet and furniture parts, mount hardware and trim among other projects, you will need screws. 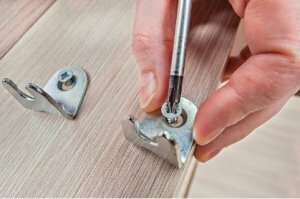 With a good screw, you will form a strong connection between solid wood and plywood without the need for joinery cuts. You can also use screws to reinforce parts that have been assembled with conventional joinery for instance pinning tenons in mortises. While a few decades ago you only needed to choose between zinc and brass screws and the right size for the job, there are a host of choices today. Traditional wood screws were made from comparatively weak steel. Ergo, their slot recesses would deform or come out. When driven with ambitious force, their shanks would snap. But, like you might have realized, modern screws are relatively strong. Screws are made of brass, bronze, aluminum or steel. Among these materials, steel screws are good for interior DIY projects and for professional woodworking. 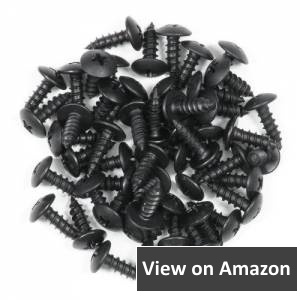 These screws are strong, durable and available in different sizes. 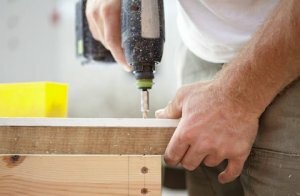 Most woodworkers started using drywall screws when they become available. These screws are strong and do not need predrilled pilot holes. However, they are relatively brittle and might snap when high force is used to drive them, or if they are exposed to high stress. They are, therefore, not ideal for projects requiring strong construction. Production screws have replaced traditional tapered screws. 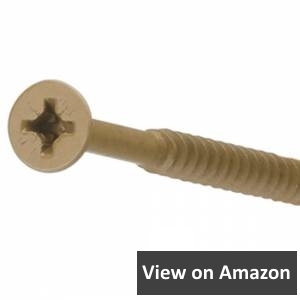 These screws pack sharp and strong threads and tips, allowing them to penetrate even the hardest wood. These screws can be used to penetrate other manmade materials. The heads and shanks of these screws are designed strong to withstand high torque. Most hardened steel screws are often sold as multipurpose or construction screws. There are different grades of steel each for a different project. Irrespective of the screw material, the shape of the screw head has a great impact on how the screw works. Screw heads can be categorized into those that sink flush with the work surface and those that do not. Trim head and bulge head screws sink flush with hardwood and delicate wood. When used on pre-drilled holes, the screws are better than finish nails when setting door jambs. Flat and oval head screws are the most traditional screw head types. They make projects look nice. Most flat head production screws are self-countersinking, allowing them to create their own recess and sit flush with the wood surface. The traditional round head screw, pan head and cheese head screws sit proud of the wood surface. These are designed with a small head and a flat bottom that bears against the work surface. While this offers a significant amount of hold on the surface of hardwoods, the small head might tear the surface of softwood. When fastened pieces are exposed to stress, the hold of these screws is reduced. A screw with a large head offers a large contact area and, thereby, offering great resistance to pull-through and penetration. Unless you are creating period-style furniture, you will not choose a traditional tapered wood screw. Why? These screws tend to slip off when you are driving them in. However, you can still use Phillips head screws. Today, Torx star drives and Robertson square drives are among the most popular. Star and square drives are easy to drive with a manual screwdriver or a cordless driver. Stick fit and cam-out resistance make Star and square drives ideal for use in many woodworking projects. Stick fit is the quality of screws to stick to the bit, ensuring that you do not have to hold them when driving them in. The two heads above feature deep recesses where the bits fits snugly. This reduces chances of cam-out and also protects the driver from wear and damage. Pozisquare and Outlaw drives are also popular on many screws. Pozisquare is a hybrid of #2 square drive and #2 Philips. When used with Pozisquare bits, you will experience great stick fit and cam-out resistance. Outlaw drives feature a hexagonal head recess offering super stick fit and high cam-out resistance. If you need your screws to have a decorative detail on your project, you can use screw head covers. 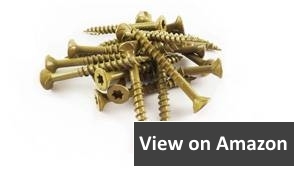 Do you need shiny brass screws on the edge of your cabinet or jewelry box? Or do you need the screws not to show on the surface of wood? Covering the screw heads is one way of achieving a good finish on the surface of wood. 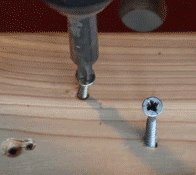 The way to make flat head screws disappear is to set them on counterbored holes and then top the holes with flush-trimmed wood plugs that match the surface of the wood. 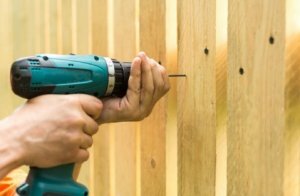 During a project, you can drill pilot holes and counterbores separately and then choose a bit that offers both functions when driving the screws. If you need a good appearance instead of hidden screws, you can choose decorative domed, button plugs or screw covers. There are varieties of these in the market. Wood plugs glue into counterbored holes, keeping the screws hidden and offering a great look. These decorative covers come in different shapes, sizes and finishing; your preferences will determine the head cover you choose. The covers may be made of anodized aluminum or plastic among other materials. You want a screw that you will drive smoothly, right? You, therefore, need to consider the threads and point of the screw you buy. The threads and the point should pierce the wood and pull the screw in while ensuring that the wood does not split. Once driven in, the threads must ensure that the joined parts do not separate even when exposed to stress. When the threads are shallow, they do not offer enough holding power to keep the joined pieces together. When the point is dull, driving the screw will not be smooth. Deck, production and construction screws are designed with sharp points and threads. The threads are larger in diameter than the screw’s shank. This allows them to penetrate hardwood and other materials without you having to unnecessarily drill pilot holes. This, in turn, saves time during installation. A good screw point should bite into the wood surface and pull the screw down, creating a hole for the shank and the threads. Most of the modern screws use Type-17 Auger point to deliver great performance. This is a needle-sharp point designed to penetrate even the hardest material. But you need to be careful when handling this type of a screw as it might equally penetrate your fingers. Most screws feature a self-channeling flute that cuts a hole on the surface of wood and throws debris upwards. This pulls the screw smoothly and reduces outward pressure that might cause splitting. After the tip has created a hole and pulled the wood screw down, it is the work of the threads to drive the point the rest of the way down. Conventionally, fine threads are used on hardwood while coarse threads are used on softwood. However, newer thread designs have allowed screws to be used in a variety of applications. Threads such as cross-cut, QuickCutter and lead spiral threads are designed to reduce the torque needed to drive them through wood. In some designs, screws feature knurled shoulder thread just above the normal threads. This allows the screw shank to turn with ease. This also increases the clamping force between the two pieces to be joined. Plating and coating are the last steps in the production of steel wood screws. Plating is done on bare metal screws while coating can be done on bare metal or plated screws. Screws are plated or coated to prevent corrosion, enhance appearance, and reduce friction. When not coated, steel screws rust within a few days of exposure to moisture. This is what plating reduces. Bright zinc is the most common plating material on wood steel screws. The zinc is more of a decorative finish, but still offers corrosion resistance. Bright zinc plated screws are susceptible to dull white corrosion unless a clear coat is added. Golden yellow zinc, on the other hand, is better for corrosion resistance and has been used widely on construction screws. Black oxide plating reduces rusting, but offers little to no protection against corrosion. Most modern screws feature high-tech coatings for outdoor environments. You can choose between different screw colors, including black, tan or white, to match the color of wood. The feature comes in handy when hiding screws. When the surface lubricity of a screw has been increased, it becomes easier to drive these screws. Slippery screws do not cam-out with ease. During use, you can lubricate the screws using beeswax or candle. However, it is easier to buy screws that are already covered with a lubricating coat. When that happens, the screws will have no residue and will drill with ease. Length is an important aspect of wood screws. The rule of thumb is to choose a screw that enters half the bottom wood’s thickness. Screw diameter, or gauge, also matters a great deal. Screws are offered in gauges 2 through 16. #8 is the most versatile screw gauge. For fine wood, #6 is the best. For heavy and hard wood, #12-#14 will get the job done. 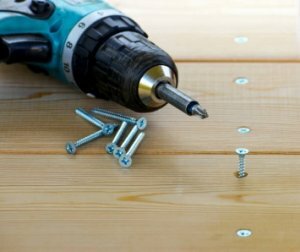 While wood screws may look simple, your choice of screws will make or break your project. The quality of a screw will determine its price and durability. There are different brands and models and the one you choose is a matter of preference; this is after you have considered other factors such as length, gauge, threads and coatings. Even when the quality of a screw looks great on paper, it is advisable to consider user reviews. This will tell you how durable a screw is and its resistance to elements. Ensure that you choose a sturdy and durable screw.